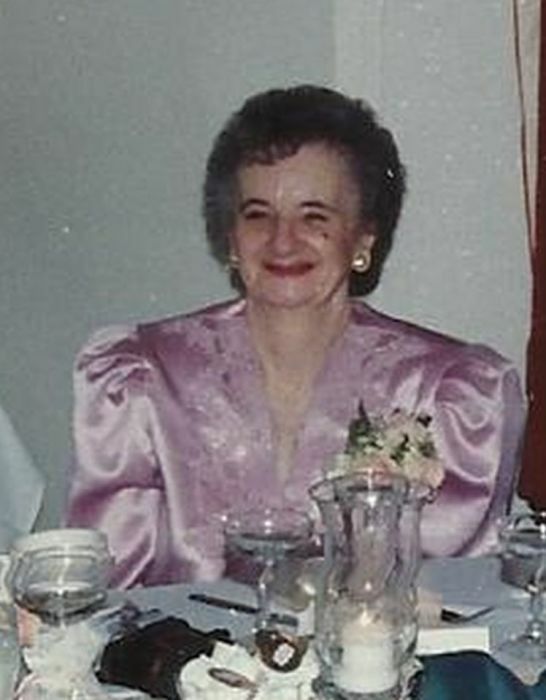 Blanche Noella Hart (Martin) passed peacefully from this world on Sunday, March 24, 2019 at the age of 85. She was born and raised in Willimantic, and after marriage lived in Columbia, moving to Chaplin with family after the death of her husband of 25 years, Francis J. Hart. She is survived by one sister, Dorothy Koitzsch of Nashua New Hampshire along with Dorothy’s two sons and two daughters and their families. Blanche has two daughters of her own: Nancy Hansen and her husband Frank of Scotland CT, Mary Mills and her husband William (Bill) and daughter Jennifer of Kissimmee FL. She lived the last years of her life with grandsons Jason and Brian Hansen of Chaplin CT, along with Brian’s wife Stacey and three amazing great-grandchildren. She’s also dearly missed by ‘adopted’ family member Lee Houston Jr. Blanche had a long and happy life and she loved country music, cats, puttering in the yard, and taking care of home and family. A graveside service will be private for family only, but anyone who would like to pay their respects may join us Saturday April 13th at Mansfield Station 107 Hall on 879 Stafford Rd., Mansfield CT for a CELEBRATION OF LIFE starting at noon. In lieu of flowers, donations may be made to Paws Cat Shelter in Woodstock CT (www.woodstockcats.org) or Kitty Harbor in Griswold CT (www.kittyharbor.org).